One of the best ways to take advantage of social networks is to realize that they work just like in-person social networks. Well. Maybe not JUST like in-person social networks. There isn’t much handshaking going on, but the underlying strategies and mutual back-scratching of in-person relationships and network-building are still there. One tactic to broaden your organizational reach that becomes infinitely easier in the world of social media is this concept of engaging “network hubs”. What is a “network hub”, you ask? A network hub, in this case, is a person or organization that routes information and social connections around a topic. 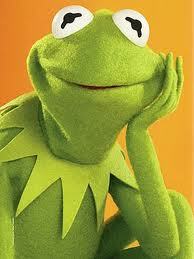 For instance, Kermit the frog would be a network hub for Muppets. He has many connections in the Muppet world, some would say even leads them and is one himself. You can imagine if he had a social media presence, he would post about muppet-related news, his love of pigs and the trials and tribulations of being green. He would follow other muppets and share the news that they are pushing out as well. Kermit would then be a point in the Muppet network where people could find reliable Muppet news, discover new people to follow from his posts and expand their networks. The trick to broadening your reach in social media and strengthening your network (thereby being able to leverage that community to reach your goals for social media) is engaging these hubs. In other words, being more effective in online community spaces means building relationships with these hubs to take advantage of their status and networks for the work that you are trying to get done. Network hubs that know you as part of their community are more likely to engage in your community and help you spread your message. Because of their connections and social clout, your messages will then be shared with a new network who may have no idea who you are but have the informal backing of someone they trust as a source for valuable information in that topic-space. But “engaging network hubs” is easier said than done. Just like in-person relationships, online relationships have to be built. Introductions are made…conversations are had…mutual respect is established… In short, a connection is made. The point of social media is to be social. Engage network hubs in the conversations they are trying to have. Be a valuable contributor to the conversation. Be a contributor with your own voice, views and questions. Because online connections work similarly to in-person connections, there is some general advice you can follow to be a good network connection. Add valuable content or ask real questions. Don’t just say “Great post!” to get on their radar. No one likes to be patronized or pandered to. Expand on their topics with posts of your own, linking back to theirs. Show the topic from your point of view or how you disagree or agree with their point. Focus on personal interaction with the person. Try starting with an email asking to get their views on a particular topic you’ve been struggling with. In short, engaging network hubs is all about treating them like a real person. Don’t be annoying. Try to help them out with what they’re doing and finally, talk to them. Like people. Expanding your personal network through social media is a great way to extend the reach of your message and meet some great people along the way. How do you engage network hubs online?